A recurring theme of this blog has been that street names have a lot to tell us. Such is the case with Northfield’s Knife Shop Road. Here, on the Humiston (or Humaston) Brook mill pond, once stood Litchfield’s largest business. 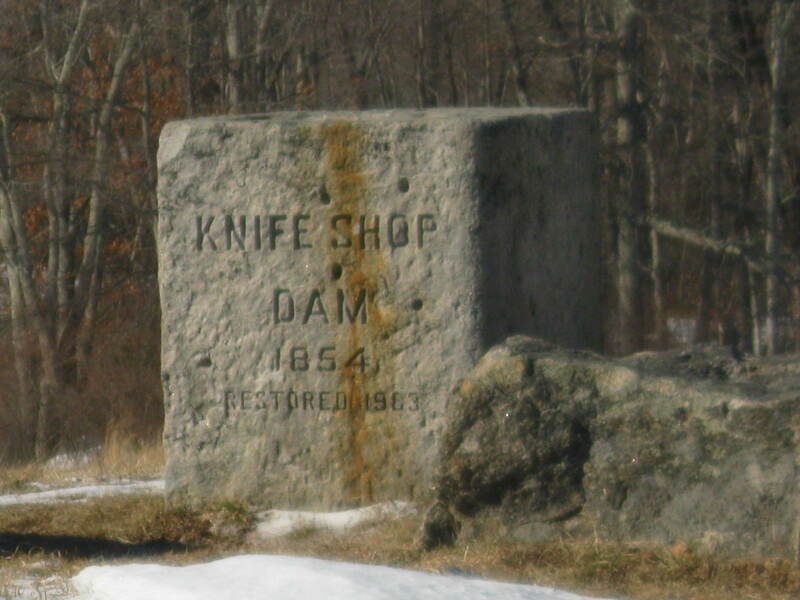 The Northfield Knife Company was established in 1858, taking advantage of the water power and access to the Naugatuck Railroad. 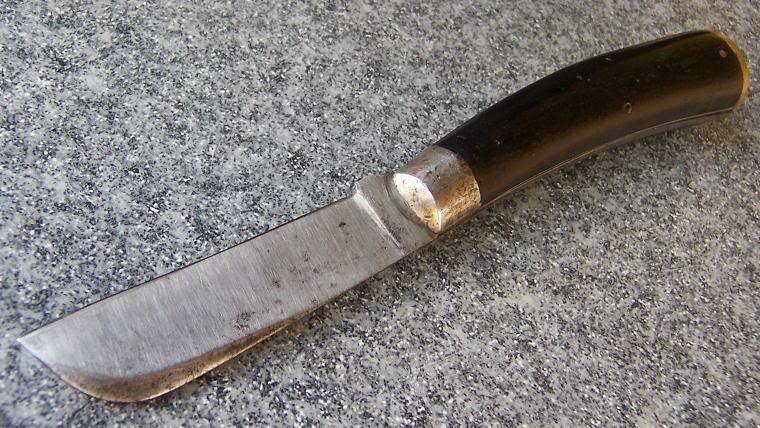 In the post-Civil War era the company produced over 12,000 knives per year. Foundation of the the knife shop complex. 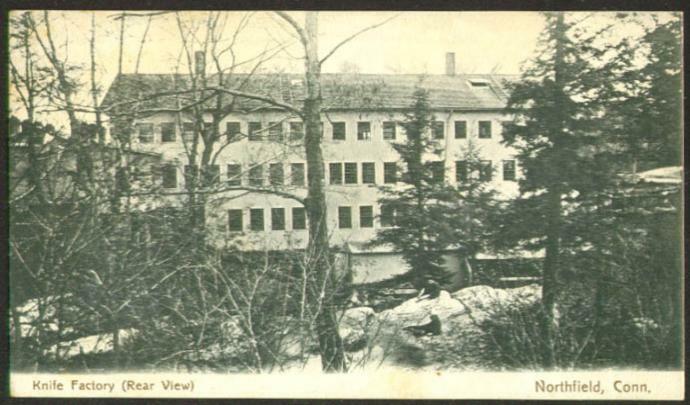 The mill dam brought other businesses to Northfield as well, most prominently a feed and fertilizer mill run by Jeremiah Peck. The growth of these two businesses led to a corresponding growth in Northfield’s population, and factory housing appeared in town. 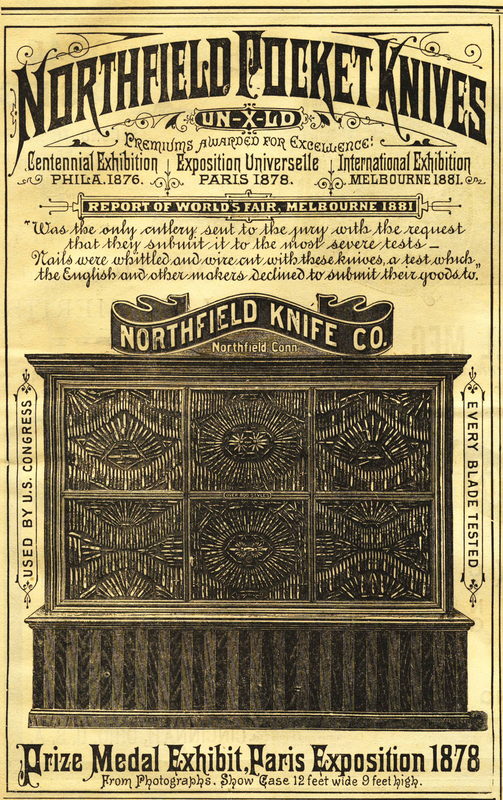 In 1865, for example, the Northfield Knife Company spent $5,000 to erect five homes for employees on Main Street. Northfield knives live on as Northfield UN-X-LD, a division of Great Eastern Cutlery. Today they are made in Titusville, Pennsylvania. 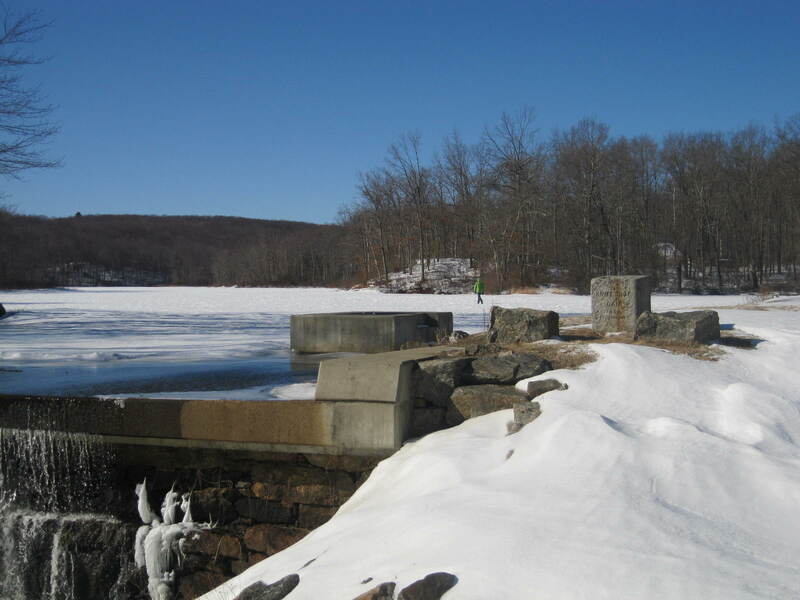 The mill pond in Northfield remains, however, testimony to the industrial heritage of this area and to the Northfield Knife Company, an internationally-known business whose knives were featured at the 1893 World’s Columbian Exposition in Chicago. 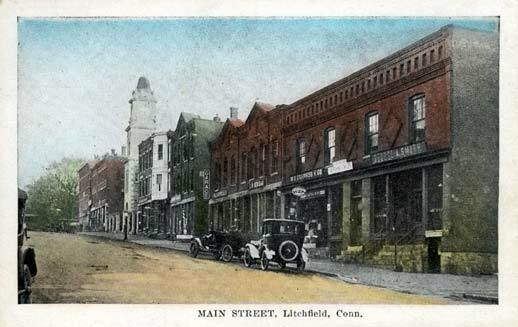 Much of the information presented on Northfield’s industrial history is derived from Rachel Carley’s excellent Litchfield: The Making of a New England Town. 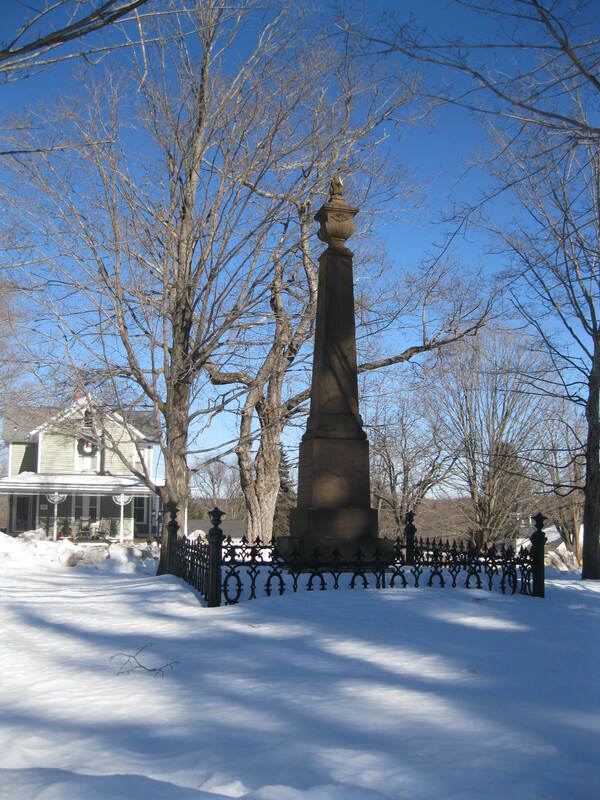 In the center of Northfield’s small triangular green sits the borough’s Civil War monument. While notable for the beautiful flame finial at its top, what really makes this monument remarkable is the story of its origin. 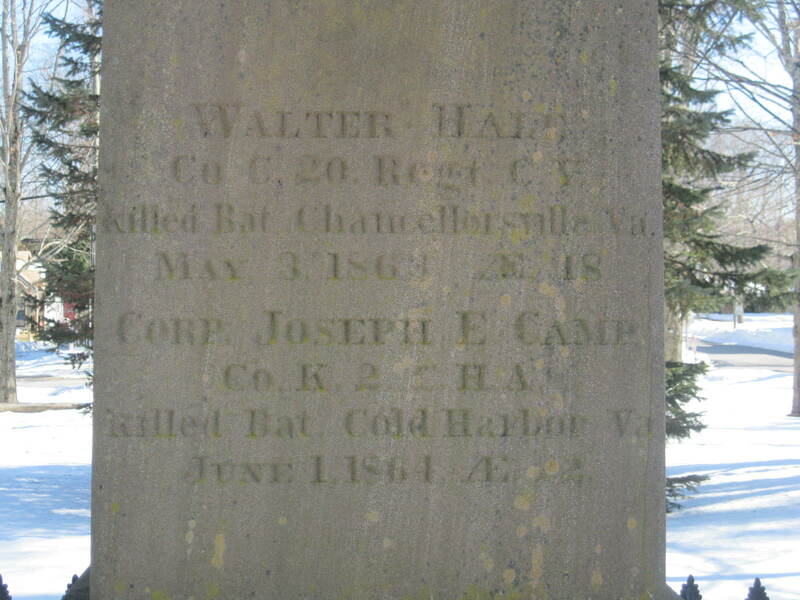 Looking to memorialize the men from Northfield who died during the war, a committee was chosen from a public meeting held at Northfield’s center schoolhouse on January 16, 1866. This was only nine months after Lee’s surrender at Appomattox, making this one of the oldest Civil War monuments in the country. 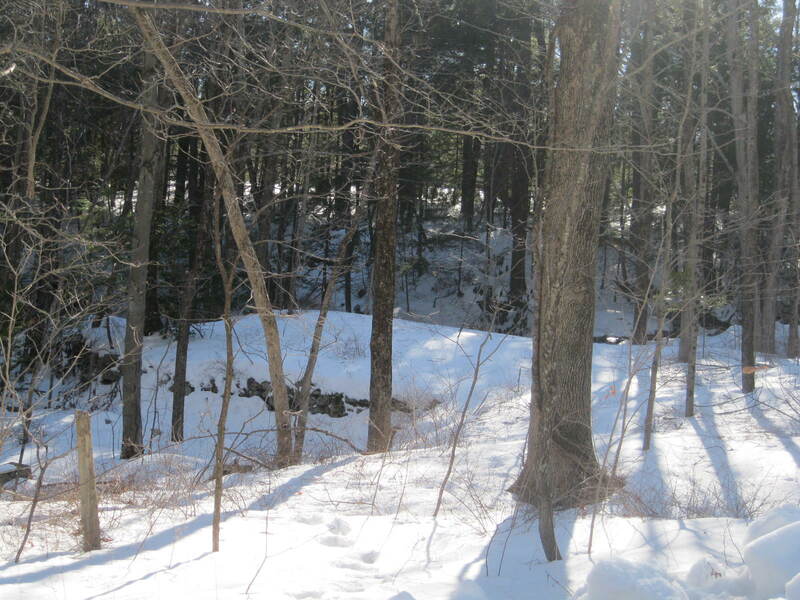 The site was chosen because it the Episcopal church had recently moved. 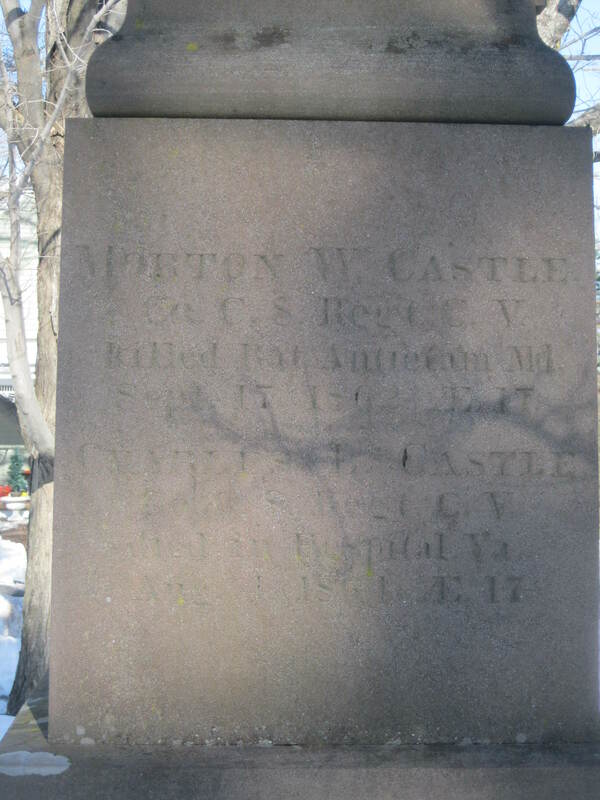 Nelson Bolles of Marbledale executed a design for a brownstone obelisk, and a team of thirteen oxen driven by Northfield resident Joel Thorpe brought the monument to Northfield. 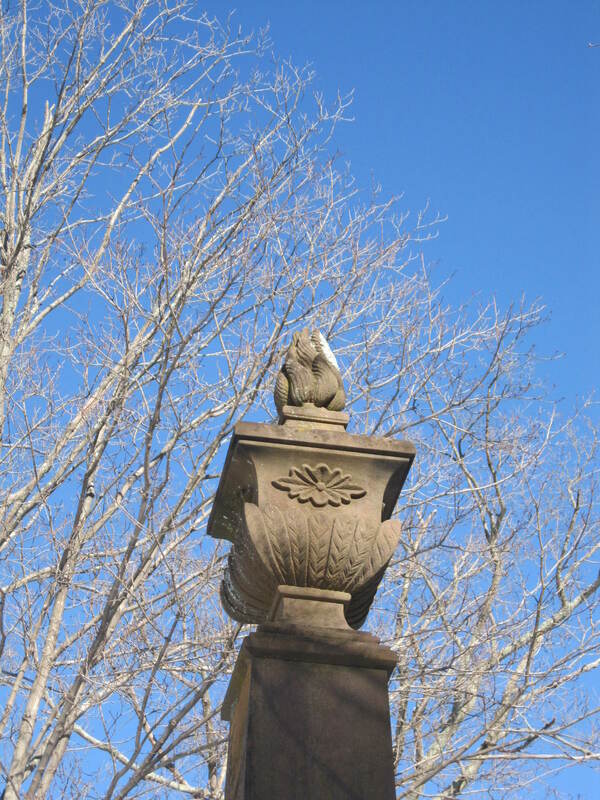 Julius Grover, a sculptor whose niece lived in Northfield, carved the remarkable flame finial, which perhaps serves as an eternal flame, reminding future generations of the sacrifices of Northfield’s men in the Civil War. 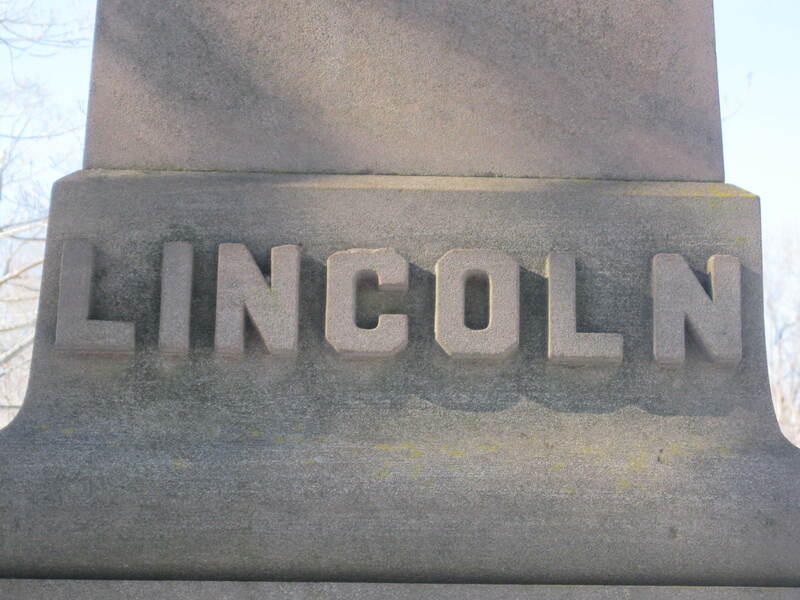 The names of the dead are carved on three sides of the monument, and are joined by the name “LINCOLN”, whose assassination was still fresh in people’s minds. Also carved on the monument are the words “That the generations to come might know them,” taken from Psalm 78. While the committee hoped the monument would be in place by July 4th, 1866 (the nation’s 90th birthday), delays postponed the dedication until September. 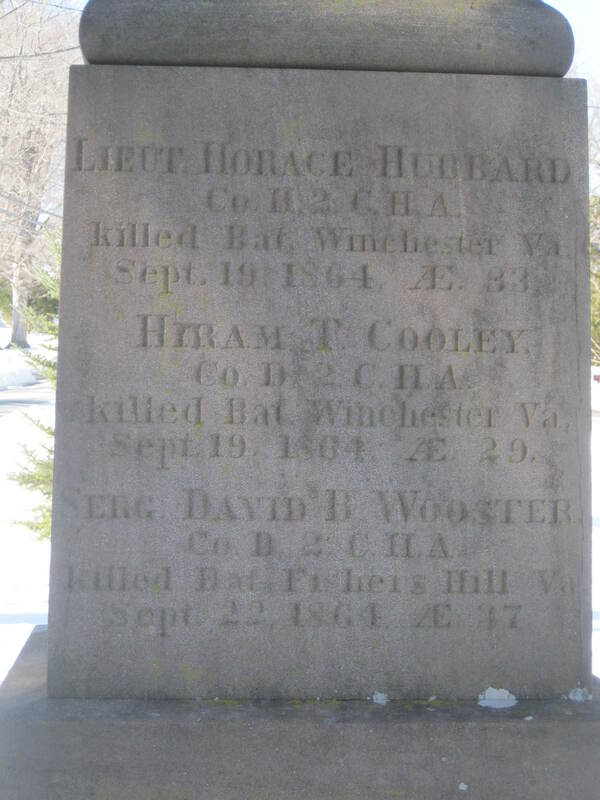 Still, Northfield’s monument was dedicated eight years before Litchfield’s Civil War monument, and twenty years ahead of the nationwide movement to memorialize its Civil War dead.